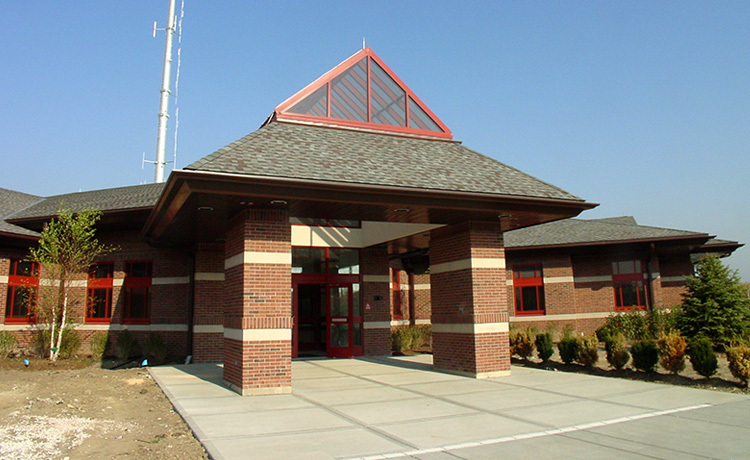 The Gurnee office of Kluber Architects + Engineers designed the prairie-style Gurnee Police Station to serve as a cornerstone for the south end of the Gurnee Town Center. The facility includes a community room, training classroom, tactical training room and weapons range, in addition to a state-of-the-art 911 facility. The project included monopole for emergency communication antennas and is equipped with a backup generator to serve as a command center in the event of a community emergency.